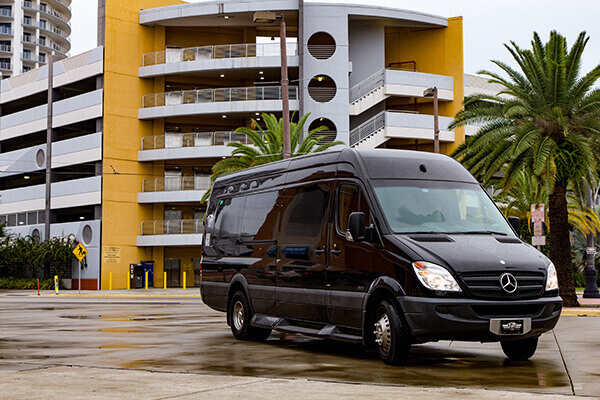 Our smallest limo bus is the most economical option for you and your group! This is great for school dances, bachelor and bachelorette parties, and more! You'll find ice filled bar areas, tinted windows, ambient neon lighting, hardwood flooring for dancing, MP3 capable sound systems, as well as stripper pools. Our 20 Passenger Limo bus is great for a night out on the town, or for a more elegant event such as a wedding. This lovely bus comes with amazing features! Features include ice filled bar areas, MP3 capable sound systems with subwoofers, couch style leather seating, spacious hardwood dance floors, and color changing lights. This 25 Passenger Limo Bus is a fitting option for those who want a luxurious bus, without the luxurious price tag. You're guaranteed to enjoy this feature filled vehicle. Including amazing strobe lighting, premium leather interiors, dark windows for your privacy, dancing poles, exotic wooden flooring, bar areas with ice, and televisions with DVD inputs. This 34 Passenger Limo Bus is an option for mid sized groups in Tampa. Our customers love this bus because it has all of the room to dance and frolic with your friends. It comes with subwoofer equipped stereo systems, plasma televisions with DVD inputs, color changing interiors, handcrafted leather seating, as well as spacious dance floors. 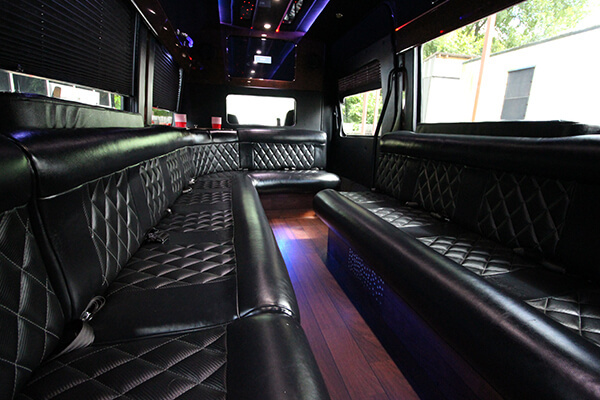 This 42 Passenger Limo Bus is our largest option, and it's capable of handling any party! With a spacious cabin and all of the features you'll need, you'll want to rent this bus as soon as possible. This bus comes with high quality leather seating for 42 passengers, bar areas, televisions with DVD inputs, amazing stereo systems, hardwood dance floors, and stripper poles.